The Huffington Post has just published an interview with me about the causes of threat inflation. You can read it here. This morning, as world leaders prepared to address the United Nations General Assembly, in Afghanistan the Taleban stormed the city of Kunduz. If the Islamic State’s capture of the Iraqi city of Mosul last year wasn’t evidence enough of a failure of American foreign and military policy, the loss of Kunduz surely is. Speaking to the UN, Russia’s president Vladimir Putin made it clear that he believes that the Americans have only themselves to blame. The strength of the United Nations, Putin said, comes from taking different points of view into consideration. Unfortunately, following the collapse of the Soviet Union, those ‘at the top of the pyramid’ (i.e. the USA and its allies) felt that they knew best and did not need to bother with what others thought or with the UN. As a result, they weakened the rule of international law. Putin implied that the chaos engulfing much of the Middle East and Central Asia was entirely the Americans’ fault (he carefully avoided mentioning the United States by name, but it was clear whom he was talking about). The West, Putin argued, has created ‘anarchy areas’, which immediately filled up with militants and terrorists. Worse, Western states have actively supported some of these militants. The Islamic State ‘did not just come from nowhere’. The United States imagines that it is manipulating the terrorist organizations which it sponsors in countries such as Syria to advance its own goals, and that it can jettison those organizations once they have served their purpose. But the terrorists are clever people, and ‘you never know who is manipulating whom’. Arming them, as the USA has done in Syria, is ‘hazardous’ and will only lead to even more terrorism. ‘We can no longer tolerate what is happening in the world,’ Putin continued, calling for the creation of ‘a genuinely broad international coalition against terrorism’. Russia will therefore use its upcoming presidency of the UN Security Council to try to broker a resolution to coordinate the efforts of all nations fighting terrorism in the Middle East, he declared. But Putin added a catch – such a coalition has to rest upon the UN Charter. In other words, it must respect the sovereignty of states. That means supporting Assad, and refusing to support the revolutionary groups which seek regime change by force. More generally, it means abandoning the export of revolution, whether it be in the Middle East or elsewhere, such as in Ukraine, where, Putin said, American had sponsored a ‘military coup’, the inevitable consequence of which was ‘civil war’. In a section of his speech dealing with international trade, Putin complained that, ‘The rules of the game have been changed in favour of a narrow group with special privileges.’ This pretty much sums up his view of what it is wrong with the current international order. Putin challenges the existing ‘rules of the game’, but only because he believes that since the end of the Cold War somebody else has rewritten them without consulting the rest of the world. He wants to take them back to what they were originally supposed to be when the United Nations was founded in 1945, and to create a truly multilateral world order, based upon respect for difference and recognition of all states as independent and equal. This is at heart quite a conservative vision. As the Taleban flag flies over Kunduz tonight, the West should ponder Putin’s question, ‘Do you realize what you have done?’ Putin’s conservative statism is far from perfect, but compared with American ‘permanent revolution’ it is looking quite good as a basis for international order. 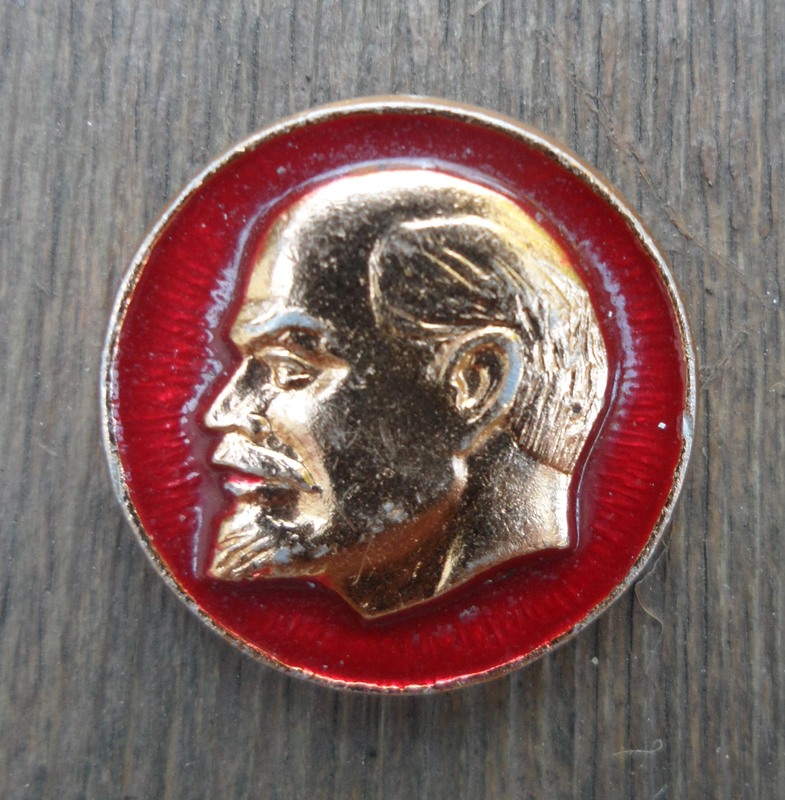 Apropos of nothing in particular, this week’s object is a Lenin badge that I bought in the Soviet Union back in 1987. There are occasions when one regrets putting an idea out there, as everybody else jumps on the bandwagon but then gets it all wrong. My doctoral thesis was a study of émigré White Russian military organizations in the 1920s and 1930s, especially the Russian Military General Union (ROVS in Russian). As part of my study, I wanted to work out what these émigré soldiers believed in, and since some of them quoted the philosopher Ivan Ilyin I decided to read his works. Later, when I shifted focus and began writing also about military ethics, it struck me that it would be interesting to pen an academic article about Ilyin’s book on the ethics of violence, On Resistance to Evil By Force. This article was then published in the Journal of Military Ethics, and it turned me instantaneously into a sort of Ilyin ‘expert’, not really because I knew that much about the subject but because almost nobody else in the West had either heard of Ilyin or written about him (the exception was Philip Grier, who has translated Ilyin’s thesis The Philosophy of Hegel as a Doctrine of the Concreteness of God and Humanity, and whose essay The Complex Legacy of Ivan Il’in remains, 20 years after it was published, far and away the best introduction to the subject available in English). After Vladimir Putin came to power in Russia, it struck me that there were certain similarities between his worldview and that of Ilyin. I therefore wrote an article for The Spectator in January 2004 in which I remarked that complaints that Putin was aiming to restore the Soviet Union were wrong – the Russian leader’s ideology seemed far closer to that of the Whites, such as Ilyin, than to that of the Reds. As far as I can tell, this was the first article anybody anywhere wrote linking the two men. My aim was not to suggest that Ilyin had influenced Putin – in fact at the time I had no evidence that the latter had even heard of the former – but rather to point out that there were commonalities of outlook. Later, I learnt that Putin did indeed know Ilyin’s works, and so I felt that my argument had been justified. I therefore developed it further in a piece I wrote for The American Conservative in 2012, as well as in a post for this blog. At this point, the idea took off, with my American Conservative article being cited in various other works, most notably Fiona Hill and Clifford Gaddy’s book Mr Putin: Operative in the Kremlin. It has now become conventional wisdom. Unfortunately, as the meme has spread, it has become more and more exaggerated. Whereas I wanted just to point out that Putin and Ilyin apparently shared some ideas about the nature of the state, now authors such as Walter Laqueur in his book Putinism, and Anton Barbashin and Hannah Thorburn, in an article this week in Foreign Affairs, are presenting Ilyin’s work as constituting an unofficial state ideology. This greatly over-inflates its importance. These authors also focus entirely on what one might call the ‘scarier’ bits of Ilyin’s philosophy – his one-time admiration for elements of fascism and his belief that the Western world was irredeemably hostile to Russia – while ignoring other aspects of his thought, such as his emphasis on the rule of law and on the limits which must be imposed even on autocratic governments. The result is a distorted picture of reality. He was not truly an academic or philosopher in the classical sense, but a publicist, a conspiracy theorist, and a Russian nationalist with a core of fascistic leanings. … Ilyin was interested in the idea of Eurasianism. … In his view, Hitler’s National Socialism, Mussolini’s fascism, and the Russian White movement were very similar and ‘spiritually close’. 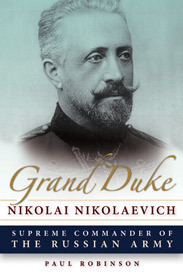 Always something of a conspiracy theorist, Ilyin introduced the Russian term mirovaya zakulisa (‘world backstage’), which he used to describe a conspiracy of Western leaders against Russia. In the broader sense, this term implies that the official elected leaders of the West are, in fact, puppets of the world’s true leaders: businessmen, Masonic agents, and, often, Jews. Substitute ‘Jews’ with ‘gays’ and ‘Masonic agents’ with ‘foreign agents’, and Ilyin’s views synchronize perfectly with Putin’s propaganda narrative. These are strong words indeed. In fact, while Ilyin did write a lot of material for a popular audience, he was more than a ‘publicist’. His thesis on Hegel and his book on the ethics of violence are serious works of philosophy. Nor was he a conspiracy theorist, let alone, as is suggested above, an anti-Semite. In fact, he lost his job lecturing in Berlin in the 1930s because he refused to teach anti-Semitic doctrines. Eventually, he fled Nazi Germany, an odd act if he was really a Nazi. Nor was he a Eurasianist. In fact, he rejected Eurasianism. Ilyin thus fits within the Russian tradition of liberal conservatism, albeit on the conservative end of the spectrum. This often appears to Westerners as a self-contradictory school of thought and indeed, as Grier points out, Ilyin’s writings do contain apparently contradictory elements. Because of this, it’s easy to pick outs bits and pieces and portray him in a slanted light. But taken as a whole, although Ilyin certainly didn’t promote democratic ideals of the sort we nowadays cherish in the West, he also wasn’t the evil, freedom-hater which Foreign Affairs suggests. What this means is that if it really is true that Ilyinism is the ideology of the Russian state, then Laqueur, Barbashin, Thorburn and others are wrong in regarding this as proof that Putin’s Russia is turning in a fascist direction. And if they are right that Russia is moving that way, then it isn’t because of Ilyin; in that case, Putin’s ideology isn’t really Ilyinism but rather some form of bowdlerised version of it. Either way, the formula ‘Ilyin is “Putin’s philosopher”; Ilyin was a fascist; therefore, Putin is a fascist’ is well wide of the mark. As I struggle to complete an article about Russia’s objectives in Ukraine, one of the problems I confront is that we have only a slight understanding of how decisions are made in the Kremlin. British academic Richard Sakwa comments that Russia has a dual power structure: on the one hand, there are the formal institutions of the state; and on the other hand, there are the informal contacts and mechanisms through which many decisions are actually made. To a certain extent, this is true of all states, but the division between the two structures is probably wider in Russia than in most Western countries, and because the informal system is hidden from sight we have only the faintest idea what is going on. To make up for this deficiency of knowledge, analysts resort to a modern form of Cold War style ‘Kremlinology’ – that is to say, they draw sweeping conclusions from little facts which they think reveal something about the goings on behind the scenes. If that is indeed the plan, to decisively close up the Novorossiya project, try to make amends with the junta, and hope they and the Western ‘partners’ forget and forgive Crimea, this is pretty much what I’d be doing in Putin’s place: Harassing and seizing the computers of Novorossiya supporters, using that to build criminal cases against them, discrediting them in the media, and sending them off to prison. But then again, Karlin admits, the ‘likeliest scenario is that both Prosvirnin and I are overanalyzing things, that the case against Egor is just what it says on the tin (alleged hate speech in one of SiP’s articles), and that nothing particularly radical is happening.’ In other words, the event doesn’t actually tell us anything about the Kremlin’s policy towards Ukraine at all. Here we confront an immediate problem with Kremlinology – it rests on the assumption that the Kremlin is behind everything which happens, and that even small events thus contain hidden truths about state policy. But this isn’t necessarily true. Sometimes an investigation into hate speech is just an investigation into hate speech – nothing more. Another problem with Kremlinology is revealed by a different case which caused some excitement a couple of weeks ago: the dismissal of the speaker of the parliament of the rebel Donetsk People’s Republic (DPR), Andrei Purgin, and his replacement by Denis Pushilin. Some Russian nationalists view Pushilin as the stooge of important Kremlin functionary Vladislav Surkov, who supposedly leads the ‘doves’ within the Russian government. For instance, former rebel commander Igor Strelkov claims that ‘Pushilin fulfills all Surkov’s instructions’, while Surkov himself is allegedly doing all he can to stab the rebellion in the back and betray it to the Ukrainian government. For Strelkov, Purgin’s ouster is proof that the Russian government is preparing to sell the DPR down the river. may also thus signal not just a change in policy but also another swing of the pendulum as authority for the ‘Donbas adventure’ is exchanged between the more straightforward and bullish Volodin and the more subtle, if sometimes too smart for his own good Surkov. … I suspect we are seeing another step towards the ‘Transniestrianisation’ of the Donbas. Here we see the second problem with Kremlinology: the facts being analyzed are so scanty that the same event can be interpreted in entirely different ways – in this case, either as evidence that the Kremlin is preparing to surrender the rebels to the Ukrainian government, or as evidence that the Kremlin is preparing for ‘Transniestrianisation’, which is a very different outcome. And neither may be right. The Purgin-Pushilin story may just be another example of the apparently interminable power struggles within the Ukrainian rebellion, and have nothing to do with Moscow at all. Kremlinology is like reading tea leaves. Its value as an analytical tool is very limited. But, given the lack of transparency in Russian government, we are probably stuck with it. We wish to understand events, and so clutch at whatever fragments of information we happen to find which might help us to do so. I don’t propose that we abandon Kremlinology entirely. But analysts (including myself) need to be rather less categorical than they often are, and should be clearer in separating fact and opinion in their analyses, while also highlighting just how speculative the opinions actually are. The reality is that we don’t actually know what is going on. 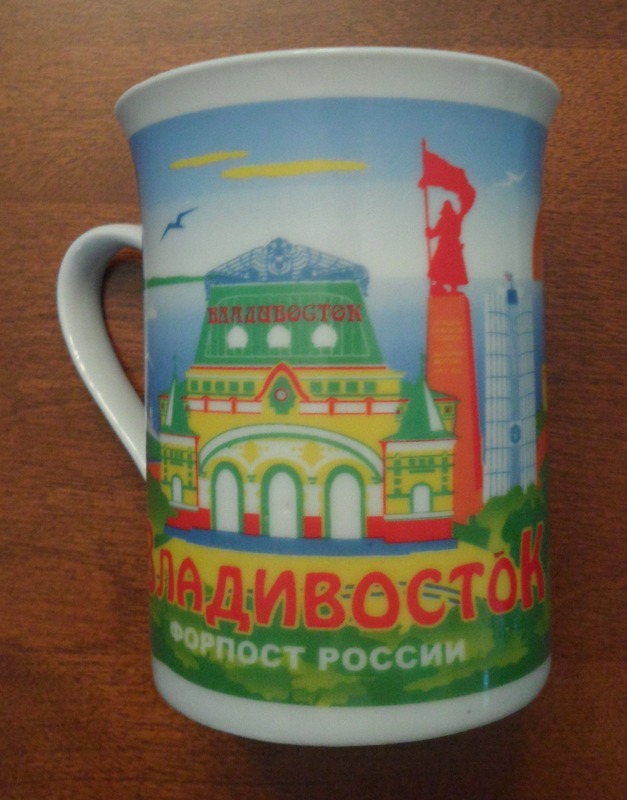 Several Septembers ago, I visited Vladivostok, where I bought this week’s object: a mug showing various sites of the city, including a mixture of Imperial, Soviet, and modern structures. These violations of the agreement would perhaps not matter if progress had been made on the agreement’s most important sections – those which deal with the final political settlement. If those can be sorted out, the rest will probably fall into place. Unfortunately, both sides have taken steps which raise serious barriers to such a settlement. The first of these steps relates to the constitutional reforms which the Minsk accord obliges Kiev to undertake. The Ukrainian government claims that the reforms it has introduced in parliament satisfy this obligation. At the same time, though, it reiterates that they do not involve any form of ‘special status’ for Donbass. The entire point of including constitutional reform in the Minsk agreement was to satisfy the rebels’ demands for local autonomy. Because Kiev’s plans don’t do this it is extremely hard to see how they can form the basis of a political settlement. Indeed, rather than facilitating a settlement, they block it. Now, Alexander Zakharchenko, leader of the rebel Donetsk People’s Republic (DPR), has thrown up a barrier of his own, by issuing an order stating that the republic will hold local elections, starting with town mayors on October 18. The Minsk agreement obliged both sides to ‘Launch a dialogue … on modalities of local elections in accordance with Ukrainian legislation and the Law of Ukraine “On interim local self-government order in certain areas of the Donetsk and Luhansk regions”.’ Ukraine is holding its own local elections on 25 October. Those in the DPR will clearly not be ‘in accordance with Ukrainian legislation’. Because of this, Kiev regards them as a breach of the agreement. Furthermore, Kiev sees local elections under Ukrainian law as a crucial step towards reintegrating its lost territories, and it has been urging its Western allies to make the elections a sort of ‘red line’ which the rebels must not cross without serious consequences. In particular, President Petro Poroshenko has been trying to persuade his allies that they should increase sanctions against Russia and provide weapons to Ukraine should the rebels hold elections which are not in accordance with Ukrainian law. If the votes in the DPR go ahead, they could be the final nail in Minsk’s coffin. As noted, the Minsk accord demands ‘a dialogue … on modalities of local elections in accordance with Ukrainian legislation’, and then in paragraph 12 states that, ‘questions related to local elections will be discussed and agreed upon with representatives of particular districts of Donetsk and Luhansk oblasts in the framework of the Trilateral Contact Group.’ No such dialogue has taken place, and there has been no agreement ‘with representatives of particular districts of Donetsk and Lugansk’. The reason is simple – Kiev refuses to talk to the rebels. In Crimea last week, Vladimir Putin remarked that, ‘The most important thing to do is to establish direct contacts between Ukrainian authorities and authorizes of Donetsk and Lugansk People’s Republics so that the accords can be fully implemented.’ Poroshenko seems to cling to the hope that Western pressure on Russia will force Moscow to abandon the rebel republics. That way, Kiev will be able to regain control of Donbass without ever having to negotiate with the rebel leaders. Judging by Putin’s statement and Zakharchenko’s announcement, this doesn’t seem likely to happen.